Want to be notified of new releases in shaise/FreeCAD_FastenersWB? Fix for issue #45 and #46. Please see http://theseger.com/projects/2015/06/fasteners-workbench-for-freecad/ for a synopsis on how to use Fasteners Workbench. V0.3.10 25 Jan 2019: Added 3D printer compatible thread generation. V0.3.01 28 Dec 2018: Fix ISO4762 M4x10 generation issue (occ7.2). V0.2.17 13 Jul 2018: Fix Bug: selecting a face to select all holes did not work. V0.2.06 02 Aug 2015: Added hole diameter calculator helper. 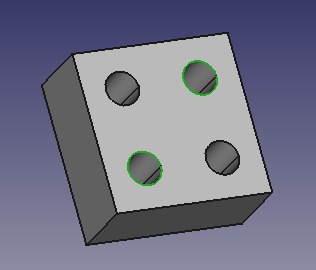 V0.2.05 01 Aug 2015: Option to select type of screw for countersunk holes. 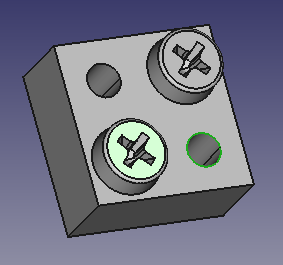 V0.2.01 28 Jul 2015: Update to Ulrich's V2.0 screw maker. many more screws, and nuts with threads! V0.1.04 21 Jul 2015: Drop-down buttons can be enabled in Preferences unser Fasteners. V0.1.03 15 Jul 2015: Disable drop-down buttons. It will be used only when screw items count will be too big. 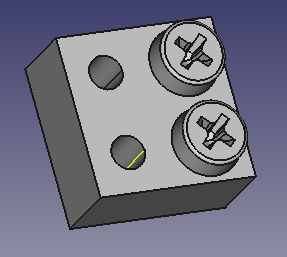 V0.1.01 13 Jul 2015: Add a command to make recessed holes for countersunk screws. V0.0.10 29 Jun 2015: Add PEM Metric Studs. V0.0.09 28 Jun 2015: Selecting a face will put a fastener in all holes in that face. 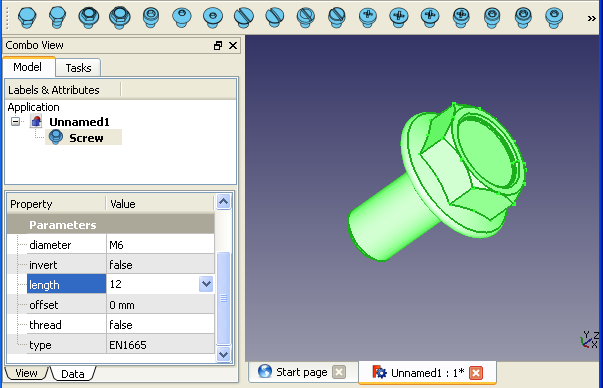 V0.0.08 27 Jun 2015: Edge selection over multiple objects when generating fasteners now works. For further discussion, feel free to open a forum thread on FreeCAD Open Discussion subforum and make sure to ping user 'shaise'.